Bob Bob Ricard Review: Brilliant Menu, Delicious Desserts – The Discoveries Of. Bob Bob Ricard is a British-Russian restaurant in London. 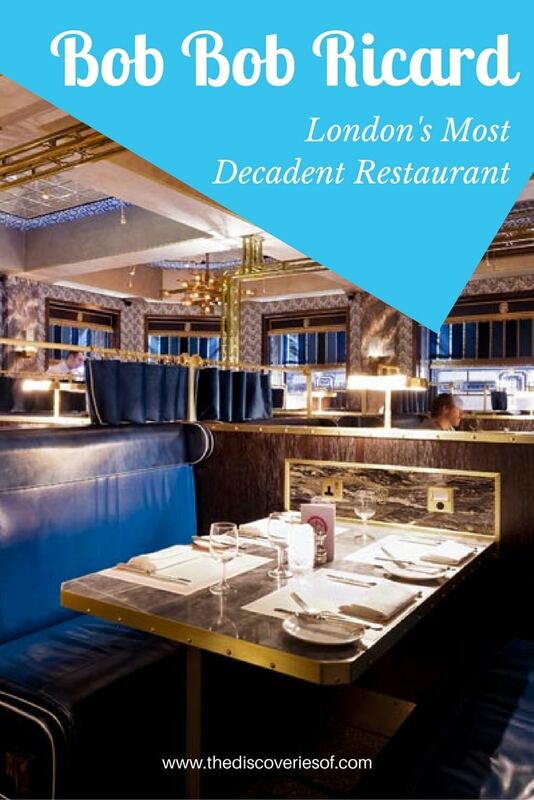 It’s of the best restaurants in Soho and a strong contender for the title of the most famous restaurant in London. So what is it that makes Bob Bob Ricard so special? Read my Bob Bob Ricard review to find out. Crazes come and crazes go. Some of those crazes are pretty ridiculous. Remember when everyone was all over 50 Shades of Grey (E.L James: otherwise known as the worst writer on the planet). Or that time when the whole world was obsessed with Twilight. Team Edward or Team Jacob? How about team stick them all down the plughole and be done with the whole lot? That said, there are some things that really do deserve the lavish attention that they receive and Bob Bob Ricard in Soho (London, U.K) is one of them. I’ve returned time and time again and never had a disappointing meal there. 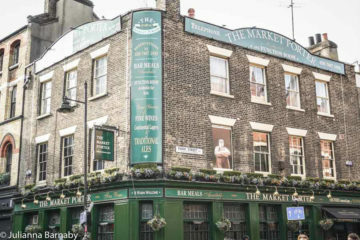 Sure, it’s one of London’s most famous restaurants, but it’s also one of its best. What’s the Bob Bob Ricard Dress Code? When people talk about Bob Bob Ricard, sure they talk about the food but they also talk about THAT interior. You can barely read any Bob Bob Ricard reviews without someone gushing over the decor. Hell, I’ll gush over the decor. 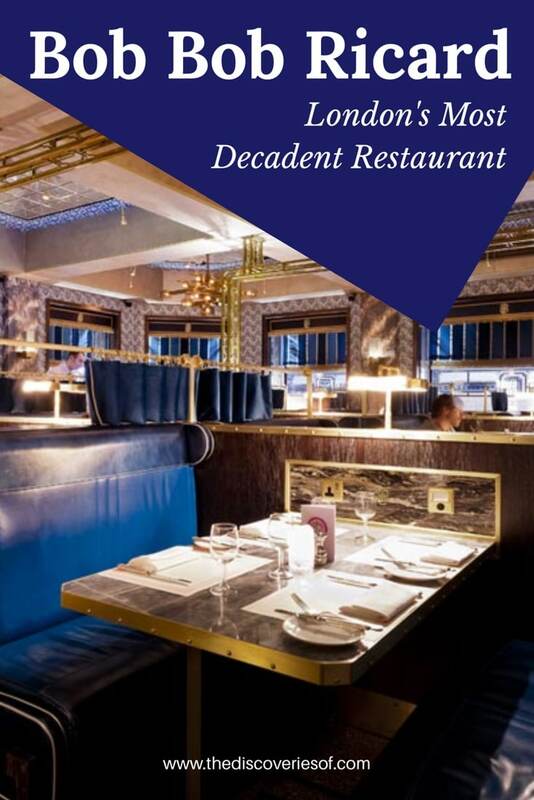 The restaurant was designed by David Collins Studio, taking its inspiration from the decadent surrounds of the fin-de-siecle era. 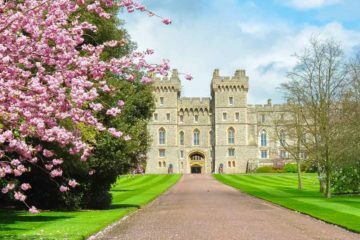 Think of late-Victorian Orient Express, without the murders and wildly expensive price tag. 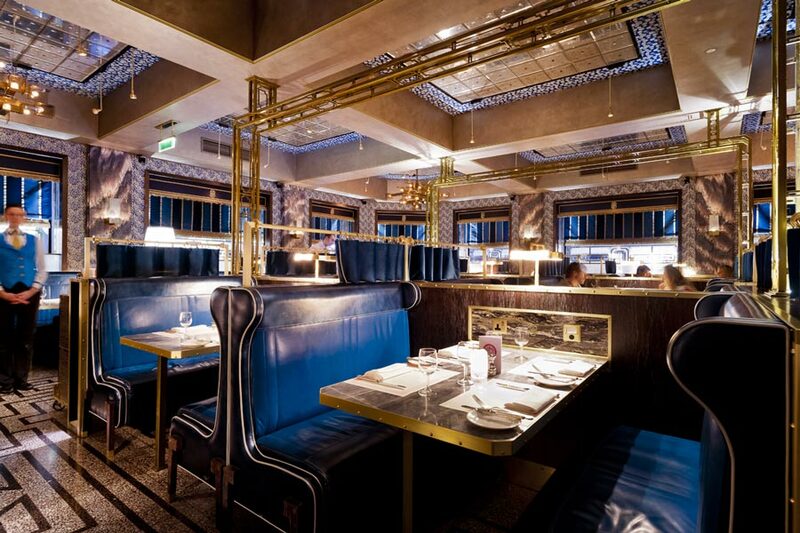 Bob Bob Ricard is a restaurant that understands the concept of space – the railway-styled seating is perfect for two or four, though maybe a bit too tight for six. There were two of us and it was a welcome pleasure to eat without the bumping elbows or near-communal dining experience that’s all the rage in pushed-for-space Soho these days. Speaking of interiors. 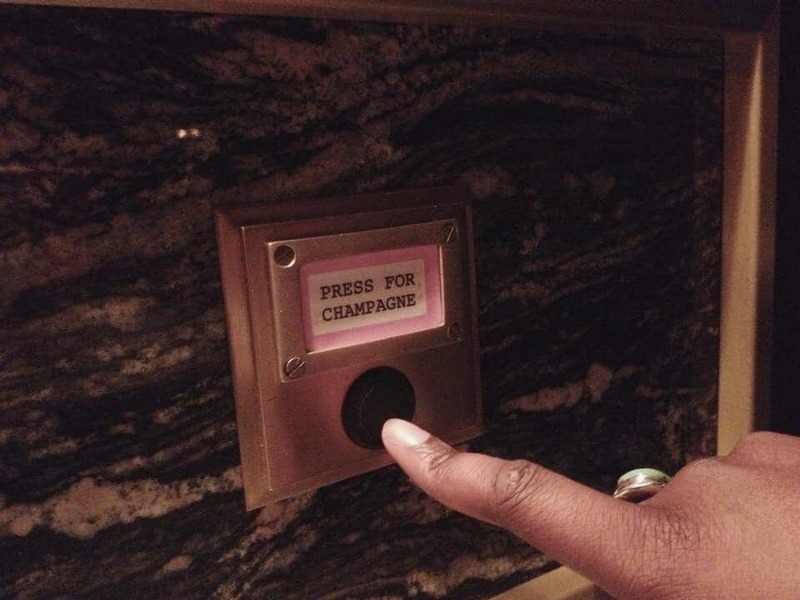 How much do you love the “Press for Champagne” button? Yes, it’s been photographed and Instagrammed to death but it’s so cute. If I could have one of those in my lounge (plus someone to actually serve the stuff to me once pressed) I would never leave the house. As it was, we pushed the button, just to make sure it worked, and are happy to confirm that it does. Perhaps a little too well. Sip, sip, sip, tipsy, tipsy, tipsy. 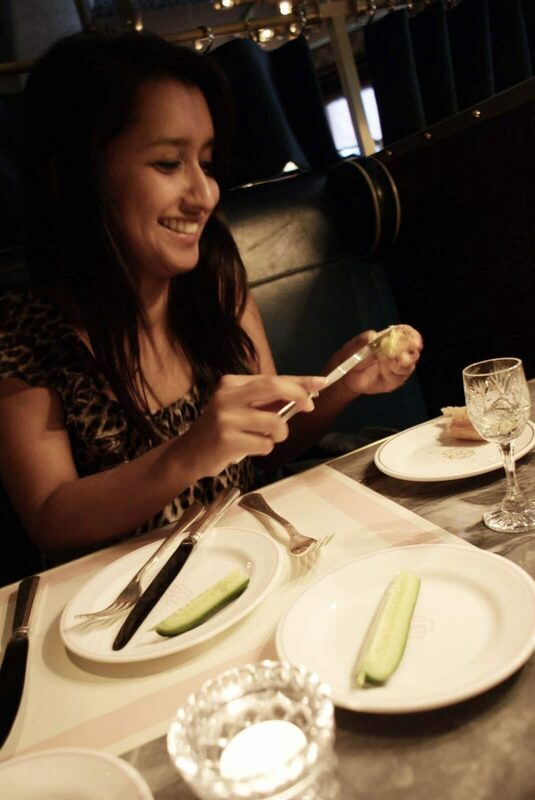 Before we started the meal ‘proper’ we tried a pairing of traditional russian salted cucumber and Kauffman collection vodka ‘to open the palate’. The salted cucumber on its own is probably not going to rock your world, but the pairing with the vodka brings out flavours I wouldn’t have imagined from this sometimes bland little vegetable. After that, Bob Bob Ricard set out to impress us with a parade of brilliance. I tried the steak tartare as a starter last time, but loved it so much I couldnt resist getting it again. The quail’s egg, capers and crispbreads set off the dense flavours of the tartare. Judging from the smells wafting across the table and the noises of appreciation my companion was making, the truffled potato and egg vareniki was equally enjoyable. We ordered our mains: lobster burger and crayfish cocktail (again another staple that can go so, so horribly wrong, as anyone who’s been faced with an overcooked piece of chew can account for) and poached sole with a champagne sauce. 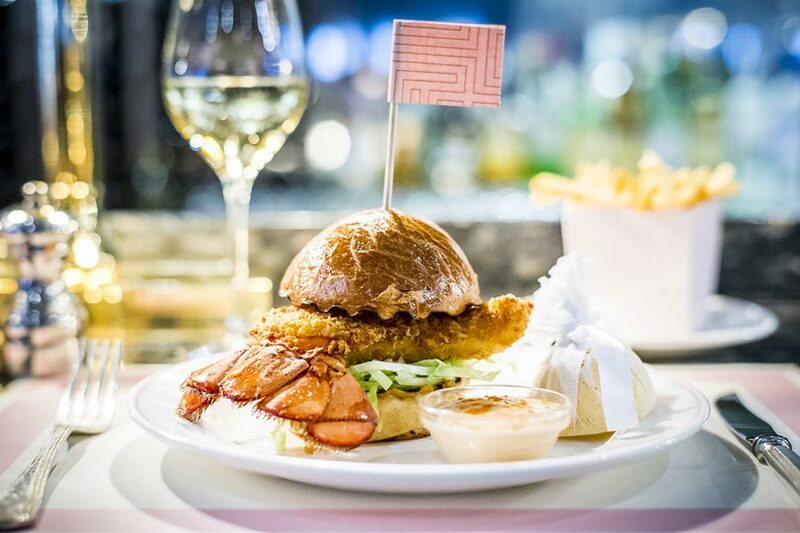 The lobster burger was impeccable – fresh and firm served with a just-on-the-right-side-of crispy french fries. As for the sole, it was a success story of its own, with the beautifully delicate champagne sauce to complement but not overwhelm the fish. So far, this Bob Bob Ricard review was going incredibly well. 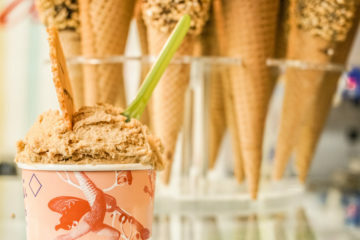 *both parties then pounce on the dessert menu, whilst simultaneously pressing for champagne and dancing gleefully on their plush banquettes*. Bob Bob Ricard’s desserts are legendary. We finally settled on the Strawberries and Cream Soufflé and Sour Cream Soufflé. 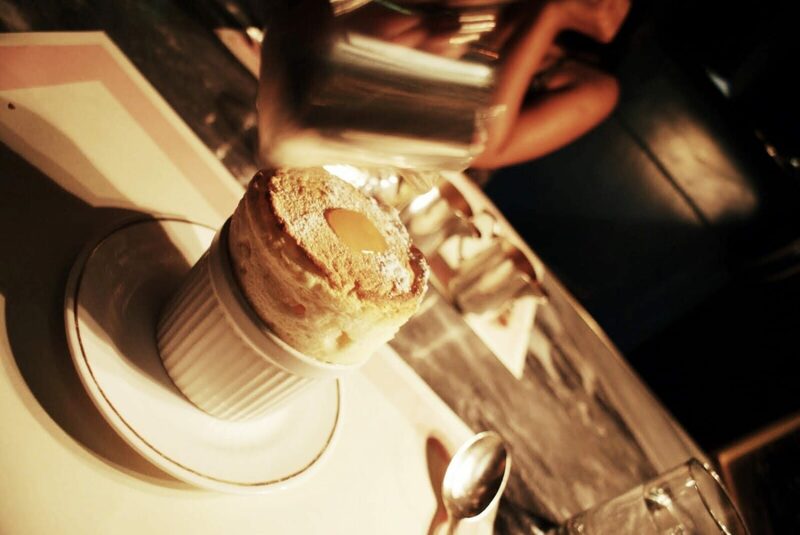 Soufflés are notoriously tricky desserts – we joked with the waiter that the chef had better be up to the challenge. Well, he certainly was – and so finished a rather flawless meal. You can see the full Bob Bob Ricard menu here. Want the full-blown Bob Bob Ricard experience? 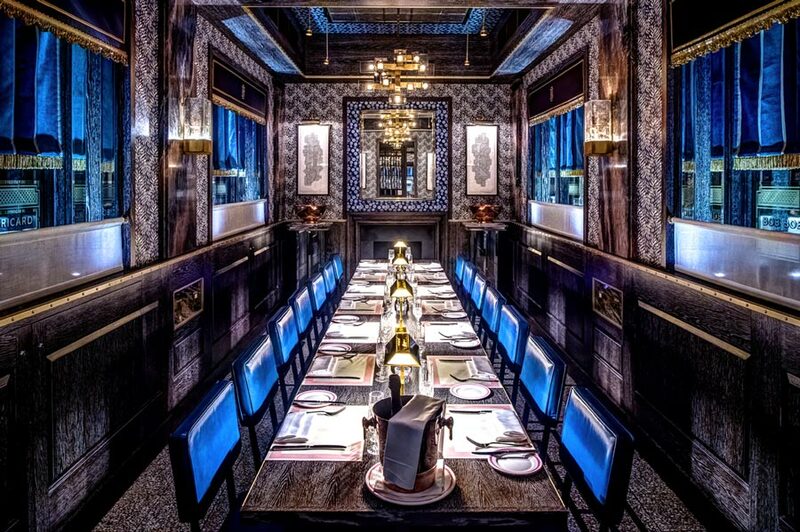 Book their Private Dining Room. It seats 10-16 guests – as you’d expect, it’s extremely glamorous. 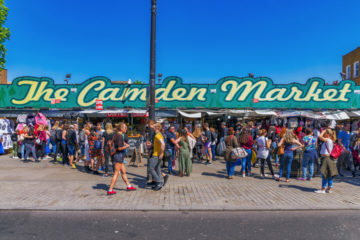 You can book Bob Bob up to three months in advance on their website or over the phone. Smart. Whatever that even means in London these days. 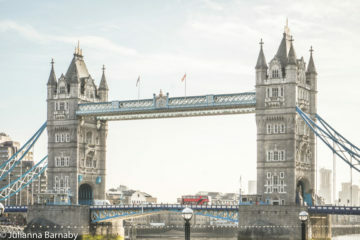 It’s not often you get the chance to dress up for dinner in London, so go ahead.